In my recent strategy note on banks (see “Mind the Gap” dated 20 March) I assessed only the big four banks, excluding Capitec as it has different characteristics and is rated very differently. Whilst the big four are especially sensitive to fluctuations in long bond yields, the primary driver of their valuation, Capitec is slightly less so. However, whereas I observed that the relief rally in interest rate sensitive stocks had run its course, with lower share prices warranted, the same can also be said of Capitec. 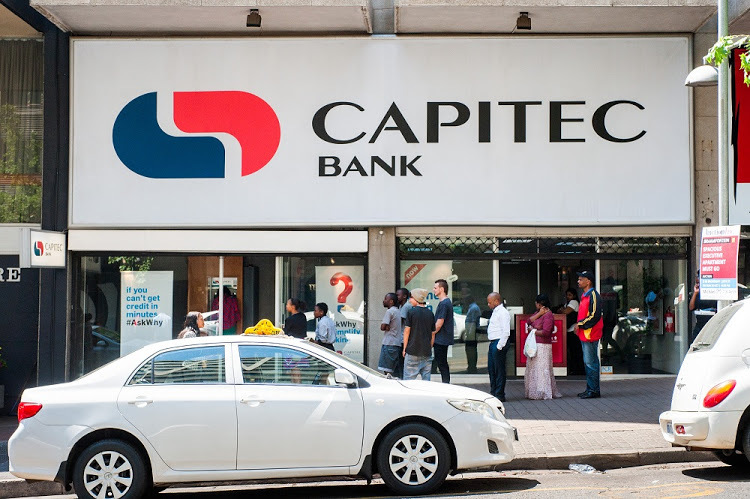 Nevertheless, given that earnings growth at Capitec will be roughly double that of the big four for the near future, the rating will remain at a premium. New income streams, such as insurance and merchant services will be added whilst the credit card will continue to gain market share. If you own Capitec, keep it. If you don’t, you need to be satisfied that earnings can keep up at the mid-teens pace and that the rating stays intact, with minimal yield to compensate. On balance, Capitec remains a Portfolio Buy with the target at R895. But I’d not be rushing in, especially with the yield at 1,6% after dividend withholding tax. If it is yield you seek in financials, then Barclays Africa on a forward gross yield of 6% isn’t a bad bet..
Capitec has just released its results for the twelve months ended 28 February 2018. And a good set of numbers they are too, with few surprises and the welcome addition of new granularity on disclosure that assists with confidence in the company. This is hardly a wolf in sheep’s clothing. Questionable research, from a source that shall be unmentioned, will struggle from these annual figures to take yet another kernel of truth as a source for exaggeration to profit. In discussions with the CEO and CFO, valuable management time has been deflected in countering recent specious events. In some respects, we’ll look back and see this as no bad thing as it shows the depth of senior management at the coal face at a time when executives have had to stomp out bush fires and calm nerves with hard facts and calculated communications. Capitec did not follow the text book in crisis communication, they have pretty much written a brand-new text book. This will be a business case study for years to come. The quick, decisive, and highly informed response speaks to the knowledge that the executives have of their business and the industry they operate in. The worrying thing is that banks are especially sensitive to allegations, true, false or half-truth. The rumour mill can kill a perfectly healthy bank. In a relatively small banking market with a few banks, confidence is everything. A run on bank deposits can quickly escalate to a point of no return given the operating leverage in a banking model. For most banks, loans and advances are seven to eight times shareholder equity. 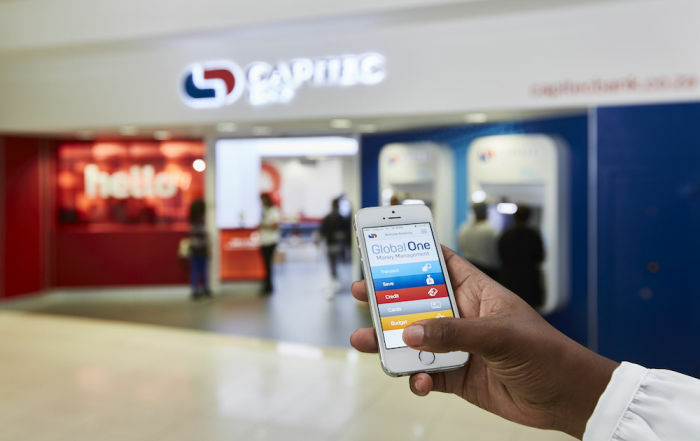 Capitec has a differentiated model to the big four, with transaction income a large and growing component and with loans largely unsecured, with term of loan matched to what the funds are needed for. Higher income for Capitec would not necessarily be so for its rivals. The big four are also big in unsecured, just proportionately less so. In my valuation model, I’ve assumed a tapering off in growth. So, far I’m a bit too optimistic. I had growth of 16,3% whereas Capitec grew earnings by per share by 17,6% to 3885 cents. This compares with my estimate of 3817 cents. Growth picked up slightly in the second half. Transaction fee income and deposits remain highlights. Transaction fee income continues to increase ahead of other income, rising by 30,7% to R5,1 billion. This means less reliance on credit. Operating expenses grew by 17,0% and transaction fee income now covers 81% of these costs, with 100% likely in two or three years, assisted by encouraging more customers to use self-help and cost-effective solutions through technology. The cost of transacting in a branch is R5 compared to R1,60 for self-help. Branches will remain important, currently 826 in total but the roll-out has already been slowed. Deposits are up substantially, again, which is favourable for funding and a sign of confidence in the bank. Retail call savings are up 15,9% to R34,9 billion and retail fixed savings grew by 27,9% to R22,9 billion. The weighted average maturity of retail fixed funding is 18 months. Return on equity at 27% is higher than targeted and should be reduced to around 25% as product pricing is lowered. Lower income relative to capital deployed is compensated for by higher volume of business. The bank has already retarded lending growth sharply whilst favouring other product and service streams. Total loan and advances now amount to R47,6 billion. An orientation to higher income clients results in the mix changing with average loan size greater than six months growing by 16,6% and average loan size for shorter periods declining. The advent of the credit card is also affecting this and the total number of loans advanced, up by 12,5% to 3,9 million, includes the effect of the card, launched in September 2016. Provisioning remains prudent and arrears have improved. Arrears decreased to 5,7% of gross loan book from 6,3%. Provision for doubtful debts edged down slightly to R5,8 billion with the provision as a percentage of gross loans and advances at 12,2% versus 13,1%. In 2017, Capitec introduced a stricter rescheduling policy. Common equity tier one capital is up slightly to 33,9% and the total capital adequacy ratio is 35,7%, with the company applying Basel 3 regulatory adjustments in full. Qualifying regulatory capital is R18,3 billion. The bank is tech savvy and I believe their innovation and time in the saddle locally, with a loyal customer and depositor following, will remain a competitive advantage versus challengers such as TymeDigital and Bank Zero. Capitec is expensive. On my adjusted earnings model, I have three-year compound growth in earnings of 14,4% versus 8,2% for the big four. 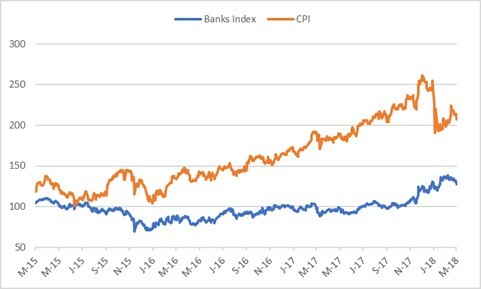 At a share price of R862, the PEG ratio is 1,55x, which is not out of line with the big four banks – the big four have a lower rating but lower earnings growth too. The crucial difference between the rating of the big four and Capitec is the capacity to maintain earnings growth in the mid to high teens. 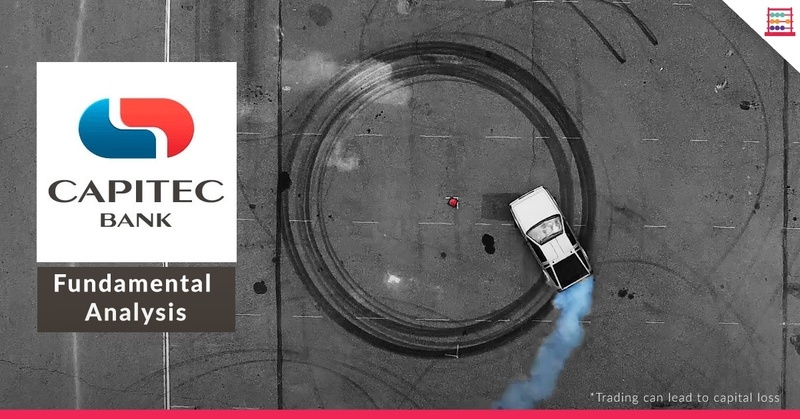 If earnings growth stalls, then the share price of Capitec would either have to tread water for some time until the rating normalised to the maturity of the business cycle or the share price would have to fall steeply. 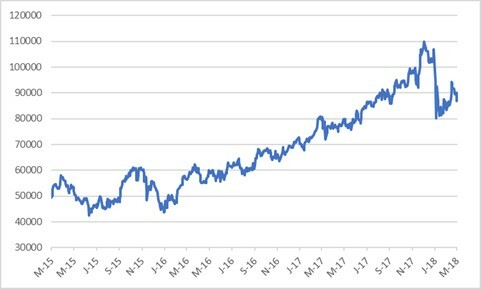 The retreat of recent weeks, from almost R1 100 per share, is a healthy correction but the stock is hardly compelling value. The earnings differential between Capitec and the big four would by now have to be rather larger than the share price out-performance suggests. Capitec is priced as a growth company and the dividend cover of 2,6x is in line with that, in other words retaining 60% of after-tax profits for reinvestment. By comparison, the big four pay more in dividends from earnings. Whilst I maintain FirstRand as preferred exposure of the big four, with Barclays Africa not a bad choice for yield seekers, Capitec remains the growth investors choice, at least for now, even if you have to pay up for that. Check out: Trolley for Trolley.